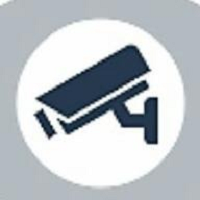 When tragic events or social disorder occur, forensic investigators have a long and daunting task of reviewing countless hours of CCTV footage. Increasingly, especially at public events attended by large numbers of people carrying mobile phones with HD cameras, authorities rely on members of the public to turn in photographs and videos they have taken in the hope that they will contain useful intelligence. Much of this media is already uploaded to public sites such as Facebook and YouTube, providing another rich source of information. Additionally, police have to review countless hours of media obtained from confiscated computer hard drives, mobile phones and portable cameras and flash memory devices. All of this creates a significant resource burden; this footage must be watched by people. The application of face recognition technology can play a crucial role in identifying potential suspects. A solution to automate the processing of this staggering amount of media to quickly and efficiently unlock actionable intelligence is required to save significant time and human capital. The ability to automate this would allow the more efficient application of resources as well as massively speed up time-critical investigations. Discover, document and diagramtically view associations between people of interest, their activities and networks. Use media meta-data to geotag video footage and watchlist hits and overlay and present on maps. This solution is now available to UK public sector on the Government Procurement Service CloudStore – G-Cloud iii Framework as a commodity from the catalogue without having to invite tenders from suppliers.